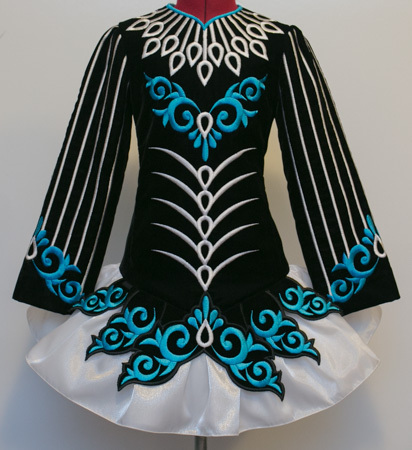 Dropped waist at seam: 29¾"
Black velvet bodice and sleeves with white and turquoise embroidery design. 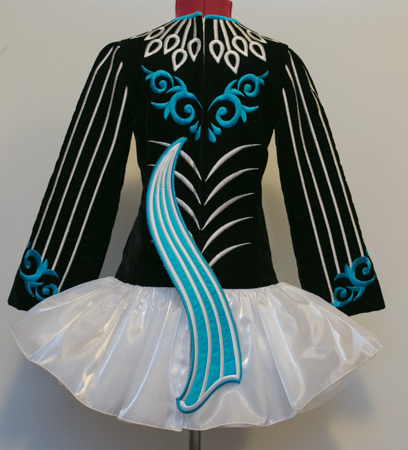 Modern extra dropped waist satin skater skirt constructed from white twinkle satin, overlaid with embroidered black velvet front skirt panels. Petite modern style asymmetrical turquoise and white shawl. 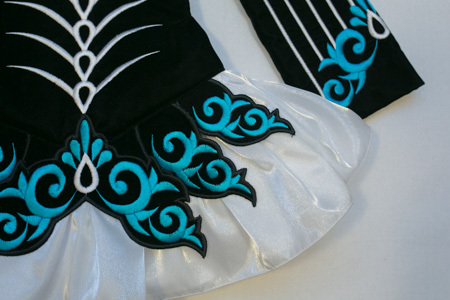 Turquoise, white and baby pink floral underskirt lining.